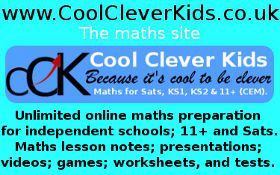 The eleven plus information site providing Children's Educational Material for the 11+ covering 11 plus grammar school entrance exams in England from CEM ® Centre for Evaluation & Monitoring ® (CEM 11+ tests ®), GL Assessment ® , Independent Schools Examination Board (ISEB) and CSSE. 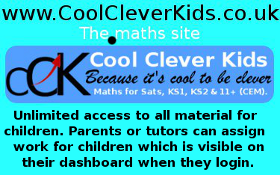 This 11plus website provides advice and information about 11 plus exams and Children's Educational Material (CEM) for the 11+. 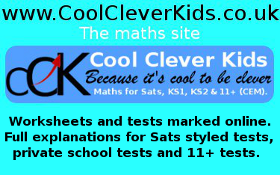 This site includes advice on how to prepare for 11plus exams in England and material suitable for preparation for 11 plus and SATs tests. 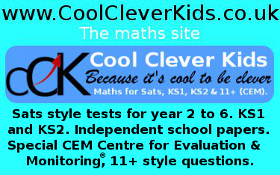 This includes 11+ tests from GL Assessment®; CEM Centre for Evaluation & Monitoring®; Consortium of Selective Schools in Essex (CSSE); Independent Schools Examination Board (ISEB), as well as others including independent schools. There are numerous organisations that create entrance exams for secondary school admission. The main two players are CEM Centre for Evaluation and Monitoring®, at the University of Durham® and GL Assessment®. CEM Centre is one of the largest independent providers of educational assessment and monitoring systems in the world and sets secondary school entrance assessments (widely referred to as selective entrance or 11+ exams) for various English grammar schools and regions, including Bexley; Birmingham; Buckinghamshire; CCHS (Essex); Gloucestershire; Henrietta Barnett & Latymer; Reading; Redbridge; Shropshire; Slough; Walsall; Warwickshire; Wolverhampton; Trafford; Bexley; Torbay & Devon; Kent Shepway, and Medway . GL Assessment® (formally National Foundation for Educational Research®) is another supplier. Every year GL Assessment® constructs new, custom-made selection tests for many schools and Local Authorities. Although GL Assessment® is the copyright holder of the tests, it is the property of the commissioning school or Local Authority for the duration of use. 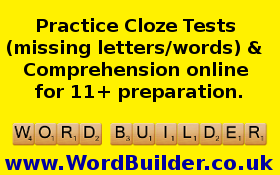 Both tests are easy to prepare for using WordBuilder.co.uk and CoolCleverKids.co.uk. Score a qualifying score in a 11+ test from C.E.M or your money back. Just £750 for our 11+ preparation course with our money back guarantee. Purchase from the shop now. Does your tutor offer the same? Ask why not. View our simple and fair T&Cs here. Past eleven plus papers set by CEM Centre® in Durham are not released and cannot be purchased. Usually, two weeks before the test, applicants receive a sample sheet containing example questions. The new tests from GL Assessment® are similar in to tests from the University of Durham® as far as content is concerned. 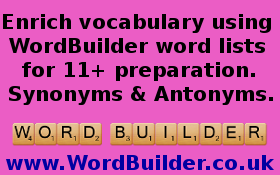 The move is towards a rich vocabulary, curriculum maths (old level 5 and 6, now a score of 105+) and NVR. 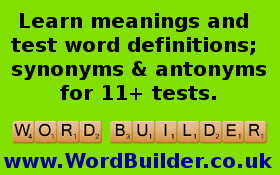 The difficulty is tailored for GL 11+ (Grade Level 11+). 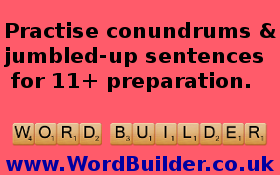 Children`s Educational Material for the 11+ has constructed seven practice mock exams. These mock test packs consists of two 50-60 minute papers as well as answers and are available from the shop. These are NOT endorsed or associated with CEM Centre for Evaluation & Monitoring® who do not provide preparation material. They are also suitable for the new GL Assessment® and ISEB selection tests. For 2016, Warwickshire shares Birmingham 11+ Consortium test, so 5000 Birmingham students and 2000 Warwickshire students can pass on content to late Warwickshire sitters. The shared test will now require students to mark answers on a separate answer sheet and no longer write answers in a booklet, increasing the chances of marking answers in the incorrect place as has occurred numerous times in other regions. If a test is shared, with other regions, always tick a box to share results with another areas as a backup plan. 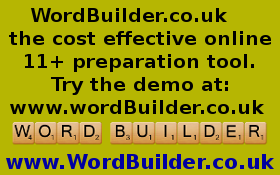 You have nothing to lose by doing so, and it could prove useful. You never know what may happen. Recently, the Lawrence Sheriff School in Rugby unlawfully withdrew a place of a child days before the end of year 6 despite the local authority refusing to withdraw the place on four occasions. Luckily the child was offered a place at Schools in two different areas (Walsall and Birmingham) as opposed to be left unplaced because of serious failings of this school. Unfortunately, the child displaced other innocent children, through no fault of his own when he moved straight to the top of waiting lists and was offered places. Play safe and share results with other schools and areas even if you have no intention of taking up a place in other areas. Taking a "free mock" will cost the school money. But one would expect financially astute schools to consider the financial implications of setting an early test date. 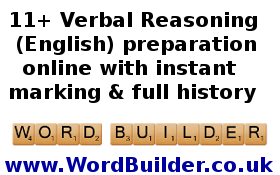 Common sense dictates an earlier test is likely to be used as a "free mock" and this has been well known to occur for many years. 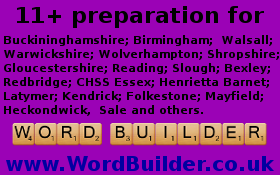 All regions can sit the Walsall; Wolverhampton, and Shropshire 11+. Apart from children in this consortium and in Warwickshire all children can sit the Birmingham 11+. We recommend all children, where possible, register for the Warwickshire 11+. The University of Durham® object to this strategy when it is a legal right. We cannot image why, as if the test is resistant to prepping, what difference would free mocks make? We believe there is no evidence that any 11+ tests are resistant to prepping and practise will simply improve performance. We believe the Warwickshire's three test dates compromises their 11+ as questions and content are leaked to late sitters and tuition centres are known to recreate questions, often for their weaker students. Out of area children can sit the tests very late with knowledge of content and move straight to the top of waiting lists. No party can discover the confidential contents of test papers prior to them being used for the first time. Once taken, children will and do discuss content amongst themselves and with parents and tutors, so information enters the public domain and the test is immediately compromised. Content is available on many sites including file sharing sites. This is why Year 6 Sats, GCSE and `A` level exams are not reused after the main testing date. The Warwickshire 11+ is the main "free mock" for all. It seems a matter of time before a single national 11+ test will be held. Available to download from the shop. There is a massive tuition culture, made worse by out reach programmes and pupil premium discrimination. Birmingham Grammar Schools provide free preparation and material in the guise of an out reach programme for pupil premium qualified children. They refuse to share material with others. They also offer lower qualifying scores for these students. Is this fair? Warwickshire 11+ tests are the main "free mocks" for 2018 entry.